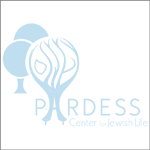 The Pardess Men's Club, serves as a social interaction network for Jewish men in the Southern Dutchess area. We get together periodically to create great experiences with great company in a Jewish atmosphere. We are a diverse group from various backgrounds, and welcome anyone who wishes to participate in any single event. Here is the schedule for the upcoming year. Please check back as we update the events list.